Give yourself the ultimate advantage with this Elite optic from Bushnell! Built to withstand and outperform the highest of expectations, this premium optic features a recoil proof construction and 1/4 MOA or finer fingertip, audible and resettable windage and elevation adjustment. See more in superior clarity with an industry-best 95% light transmission across 300% more of the visible light spectrum. 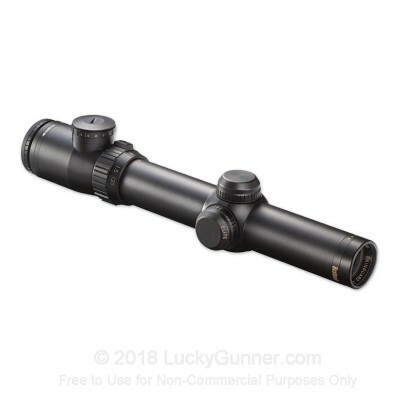 This optic features argon purging which is an improvement over traditional nitrogen purging, argon purging delivers the ultimate in long-term waterproof integrity. With a build quality that boast 100% waterproof, fogproof and shockproof, this scope is designed to go where ever you take it in the field.